With this question, Make-a-Wish brings joy and magic to the lives of children. On a global scale, a wish can mean meeting the president or piloting a helicopter, almost anything is possible. On the Swiss Scale, Make-a-Wish Switzerland‘s efforts mean that Summer got to meet princess Elsa in a private ceremony, and Julia got to meet Roger Federer. Some say laughter is the best medicine; Make-a-Wish takes this to another level. 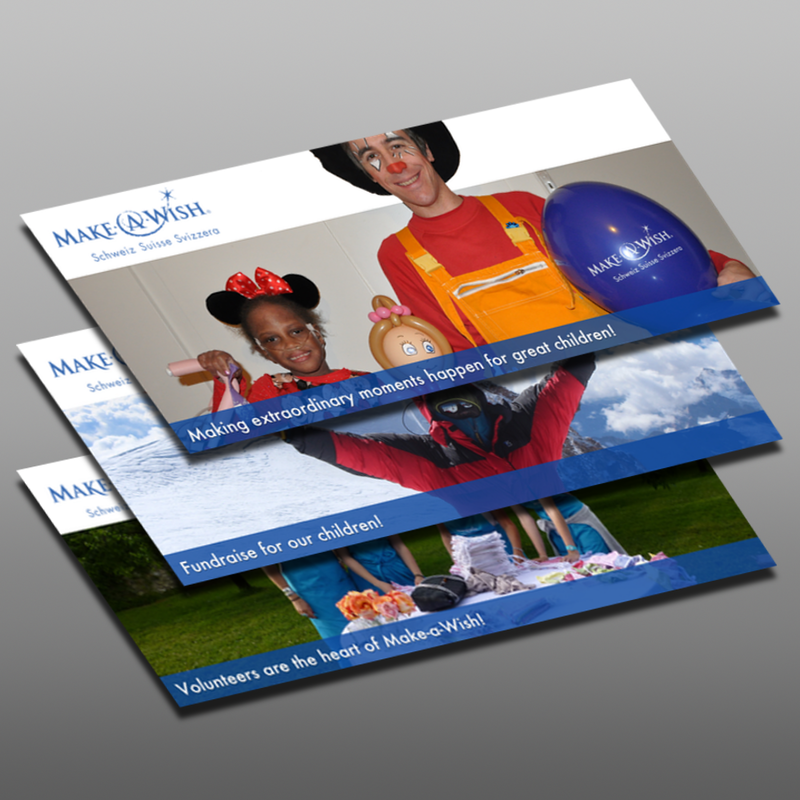 For Make-a-Wish, we created website banner images as well as social media content. It’s a pleasure to work with just an original organisation and we’re excited to keep working with them.